Medical Consultants vs Independent Consultative Examiners in the Disability Determination Process: What’s the Difference? Questions about this article? Please visit our new Claims ESP disability forum to ask them. There are two types of medical consultants that provide services to the Social Security Administration (SSA) through their state Disability Determination Services (DDS) offices. One group of Medical Consultants (MC) who do “paper” assessments on your claim is housed internal to the state DDS offices, while the other group of Consultative Examiners (CE) is made up of physicians, specialists and psychologists who conduct physical and psychological examinations and maintain their practices external to the DDS offices. In this month’s Claims ESP newsletter, we attempt to clarify how each group of consultants is used by the SSA to assist Claims Examiners in reaching an accurate decision on your disability claim. The first part of the article gives a general description of the terms Medical Consultant and Consultative Examiners which will be useful as a prelude to the article. 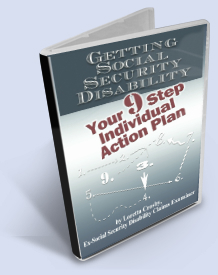 These descriptions are taken from the new eBook by this author which is entitled Getting Social Security Disability: Your 9 Step Individual Action Plan. (FYI—The 9 Steps 2 Disability Guide is available at a 40% discount through 21 April via a special order link available exclusively for Claims ESP newsletter members).